(Modern Harmonic) 4 tracks - red vinyl pressing! 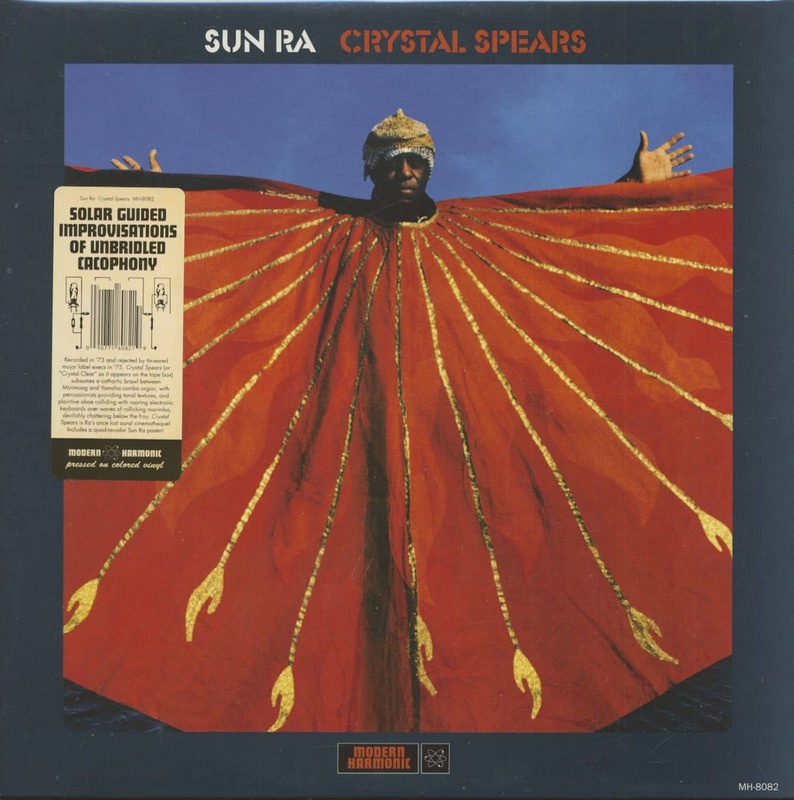 Recorded in ’73 and rejected by tin-eared major label execs in ’75, Crystal Spears (or “Crystal Clear” as it appears on the tape box) subsumes a cathartic brawl between Minimoog and Yamaha combo organ, with percussionists providing tonal textures, and plaintive oboe colliding with roaring electronic keyboards over waves of rollicking marimba, devilishly chattering below the fray. 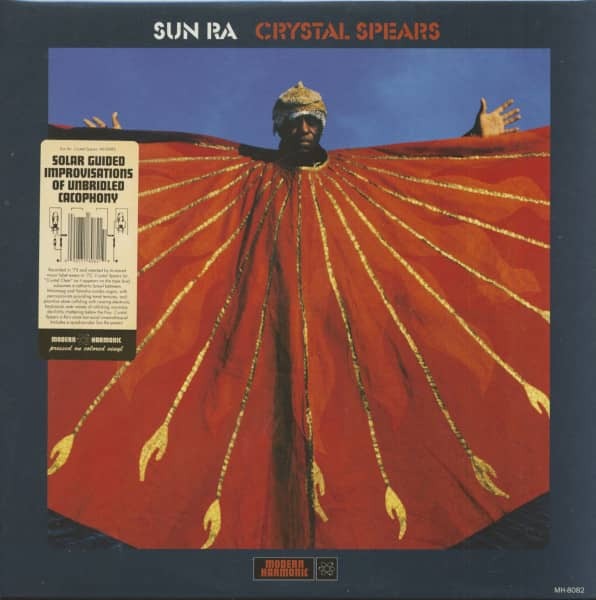 Crystal Spears is Ra’s once lost aural cinematheque! ! Crystal Spears, intended for release in 1975 by ABC/Impulse! and assigned catalog # AS-9297, was ultimately rejected by the label. 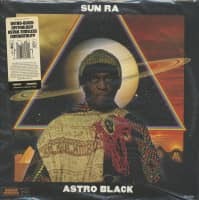 Ra and business manager Alton Abraham retained the rights, rechristened the album Crystal Clear and assigned Saturn Records catalog # 562 -but they never got around to issuing it. 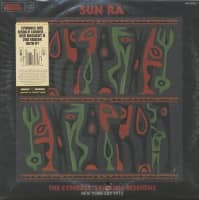 The first three tracks on this album were mastered from that tape, a 1/4-inch four-track (15 ips) brand favored by home recording enthusiasts - and generally disfavored by pro engineers. 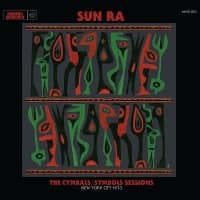 The sessions took place at Variety Recording Studio in New York on February 3, 1973, a month before the Ark returned on March 8 to record Cymbals, as well as tracks issued decades later under the title Sign Of The Myth (and perhaps even Pathways To Unknown Worlds). Why was Crystal Spears rejected? A year or two after Ra’s signing, reigning ABC management was swept out and new execs rolled in. It’s quite probable that the new execs didn’t comprehend what was happening on these recordings. For the uninitiated, this was not jazz as they knew it, but unbridled cacophony. But is it? 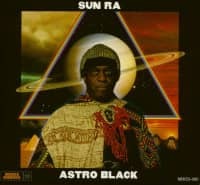 Sun Ra always had a method to his madness - and a madness to his method. 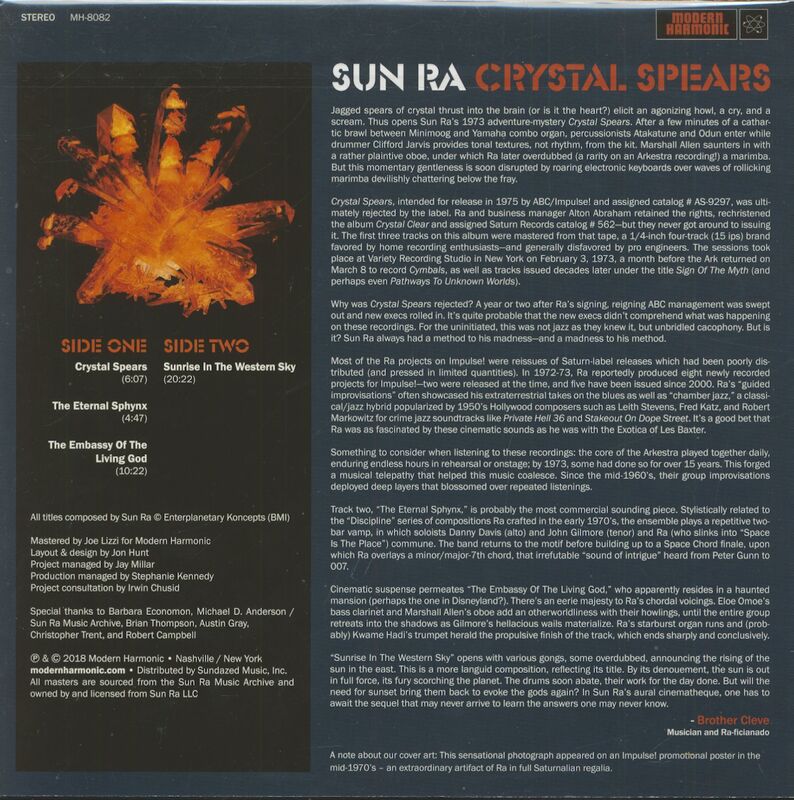 Customer evaluation for "Crystal Spears (LP)"